1.Re-drafting is important. I knew this already, but hearing her say she writes up to twenty drafts of a thing made me feel better about the fifth draft that is currently occupying most of my headspace. 2. If you want to be a writer, persistence is key. This is very true. Because, like with acting, not everyone will like everything they read of yours. Not every story is for everyone. Which is what makes finding your favourite book so special, it’s not everybody’s favourite book, just yours. 3. It’s good to be kind. She did a little tap-dance, just to make a raven-haired lady in the front row happy. She looked very graceful and peppy. Also, she signed something I brought along for a friend of mine as well. She didn’t have to, but she did it, after having signed for over an hour. And it made me really happy and grateful. 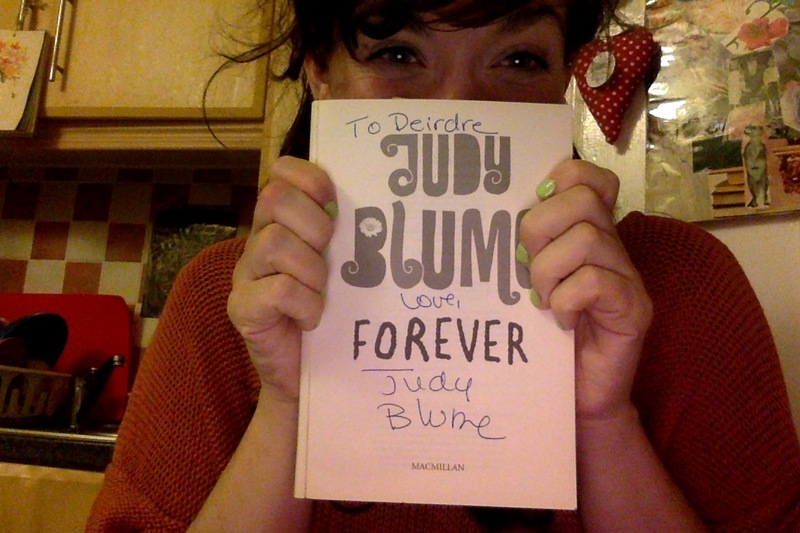 Judy Blume is seventy-seven and she’s basically the coolest girl in any room she’s in is all I’m saying. What writer would you like to see in real life? Previous post ← YALC 2015! Thank you. You should be. Judy Blume is everything.